Medleymed Biz’s unique software technology helps you to place your orders to Distributors through a website or a simple-to-use App. 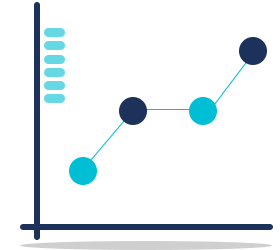 By placing orders fast , you get quicker delivery and enables you to meet your customer’s expectations promptly. 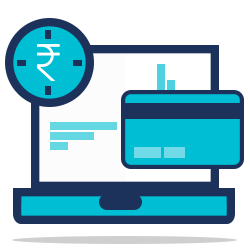 More transactions means more business and higher profits. Medleymed Biz’s technology has been developed after interacting with hundreds of Retailers and Distributors and it is robust and very friendly to use. From Order placement and processing to Billing and settlement is taken care by Medleymed’s proven technology. You can even track your order online. Using Medleymed Biz App or website is very easy. In fact it is simple. You need not worry about placing different orders with different distributors. 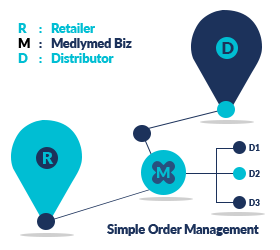 Medleymed’s technology takes care of routing the correct product to the correct distributor. Plus you can place orders anytime of the day through the App. © Medleymed Biz 2018. All Rights Reserved.